Whether you are a beginner looking to start your first blog, a business owner building an ecommerce online shop, or are looking to build a large network of websites on your own dedicated server, 1&1 IONOS has the solution for you. 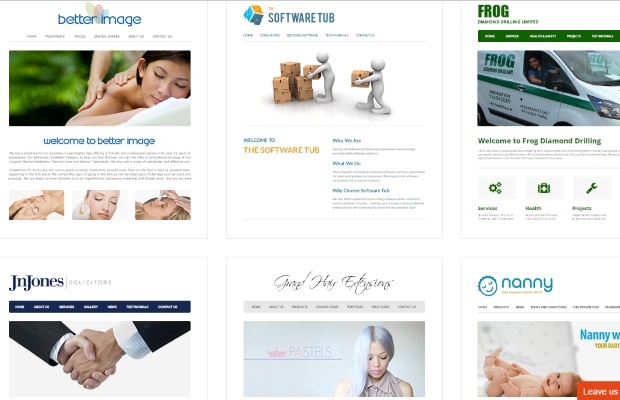 Create an online presence with hundreds of customizable templates and images and intuitive easy to use software, all complete with drag and drop technology. Build an online store with excellent security payment settings and in depth analytics. Attract new visitors with SEO packages and web apps which instantly connect you to popular online sales platforms and social media. 1&1 IONOS offers hundreds of industry-specific templates, with personalization options sure to make your website stand out from the masses. With each package comes included hand-picked images which adhere to copyright laws and are chosen specifically to fit with your theme and topic. The site builder is extremely intuitive and uses drag and drop functionality so that even a newcomer to web design can achieve the professional look they are aiming for. For business users, 1&1 IONOS helps to design the perfect ecommerce site, with advanced eBay features as well as a shop designer and opportunities for live chat and customer support widgets. Pushed for time and want an expert design? 1&1 IONOS also offers a MyExpert package where you can let the professionals do the design for you. 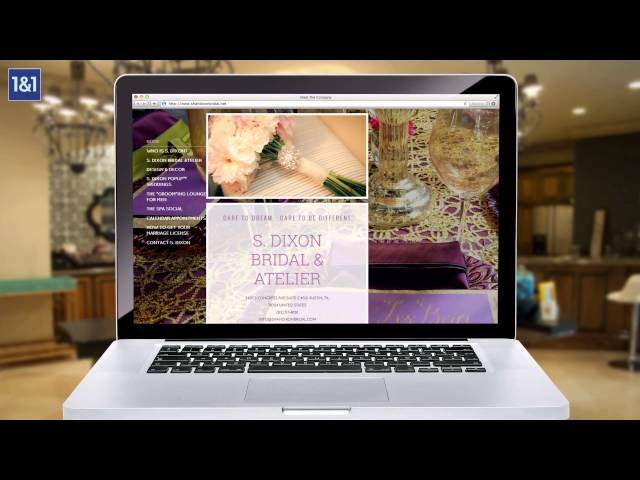 An excellent option for creating a blog or a simpler website is by using 1&1 IONOS’s MyWebsiteLite. Simply choose a domain name, a color scheme and a few topics and get writing with a ready built website in a matter of minutes. The web builder supports guestbook and comments so that your readers can interact with you easily, and it is simple and intuitive to change your topics or color scheme at any time. Incorporating social media widgets and an RSS feed means that your blog can easily attract new visitors, and the easy to use integration of flash videos, and ability for your readers to download documents from the site directly will keep them coming back for more. If you’re looking for something a bit more complex, or the ability to integrate your blog with your business website, the main 1&1 IONOS website builder is an obvious solution. Choose from the hundreds of design templates, customize extensively, and use web apps to create a relationship with your readers. Looking to integrate your existing WordPress blog with better hosting and access to premier support? Do this in a few easy steps with the 1&1 IONOS WordPress setup wizard. Specialist web apps are where 1&1 IONOS really shine. 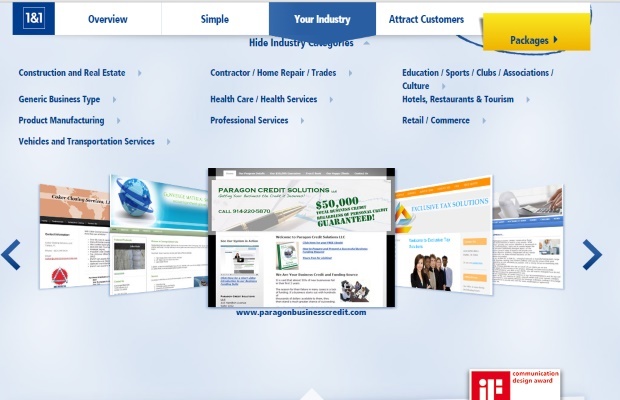 With over 350 apps and widgets to add to your website, there is no end to the options for personalization. Add a document downloader or a translation tool for your customers, enhance the website with a calendar function or a photo gallery, and incorporate multimedia images or videos seamlessly into your design. Already have a website but interested in switching over? It is easy to keep both your domain and your email addresses and make the transition to all the benefits of 1&1 IONOS. 1&1 IONOS are conscious that the work doesn’t stop once your website has been built. Offering top of the range analytics packages and SEO spotlight, as well as full integration of social media such as Facebook and Twitter, this website builder has an emphasis on the success of your business as well as design. 1&1 IONOS’s business website builder starts from as little as $7.00 a month for the Essential package, with a Business package for $10.00 and a Pro option which includes SEO for $20.00. As of the writing of this review, the current promotional price for all deals is only $1.00, a fixed price for either 6 or 12 months, depending on the package. It is worth checking the website for special offers and prices, which are updated monthly. The 30-day money back guarantee is an excellent way to trial all the services and options that 1&1 IONOS offers, before making a final choice. Options for dedicated servers, performance hosting, more specific domain names, mobile websites and other added functionality are all available by enquiring further. There is no doubt that 1&1 IONOS is an extremely competitive choice in terms of pricing. The 1&1 IONOS help center is extremely extensive, offering FAQ and categories of advice to help with the broader queries on using the website and troubleshooting. There is also an excellent feature which alerts you to any reported service interruptions, allowing you to bypass lengthy customer service phone calls to discover the cause for your problem. Although the website does not offer live chat, if you have a more specific problem, you can get in touch with 1&1 IONOS in a number of ways, including dedicated email addresses listed by department, with a promise of a reply within 48 hours, or for more urgent matters, phone lines both international and in the US. Social Media support allows for contact via Twitter, Facebook and Google+, as well as a forum for all users and guests, an excellent way to crowd-source to help with your query while you wait for an official response.